Fentanyl, known under several different brand names, is an extremely potent synthetic opioid painkiller. It’s considered to be 80-100 times more potent than morphine and 40-50 times more potent than 100 percent pure heroin. It’s used for pre-procedure pain relief as well as treatment for breakthrough pain – a term describing pain so intense that it “breaks through” average pain medications, something commonly experienced by cancer patients. The drug was first introduced in the 1960s, and recreational use became popular in the 1970s due to the intense high such a potent opioid could produce. Though the high tends to be less euphoric than heroin, it produces stronger sedative and analgesic effects. Due to this, recreational use is incredibly dangerous. Those without a built up tolerance to opioids are at an especially high risk of overdose. Fentanyl has a stronger effect on the respiratory system, easily slowing breathing down to dangerous levels. The lack of oxygen to the brain can lead to coma, brain damage, and death. Fentanyl is not often prescribed, and it is mostly given out to cancer patients and others with severe but temporary pain problems. For these individuals, it’s common for fentanyl to be dispensed in lollipop form. The dissolving lozenge can be quickly absorbed through the cheeks and under the tongue for quick relief from breakthrough pain. The rest is swallowed and absorbed through the intestines more slowly, allowing the drug to both relieve pain quickly and last for a good amount of time. For chronic pain, fentanyl can be administered via transdermal patch. The patch releases the drug slowly into the skin over a period of 48-72 hours. Different patch sizes are available for different doses, and effectiveness depends on the patient’s body temperature, skin type, and amount of body type. In medical facilities, fentanyl is administered intravenously, often in combination with a benzodiazepine, for sedation and pain prevention before procedures like oral surgery and endoscopy. Other preparations include tablets, nasal sprays, and inhalers. As a powerful opioid, fentanyl has a high addiction potential for both medical and recreational users. It’s typically not used recreationally except by those who are already long-term users of opioids like heroin, and it has also been known to be mixed with illicit drugs like heroin and cocaine by dealers. It can be illegally produced, but otherwise must be stolen in order for people to access it for abuse. 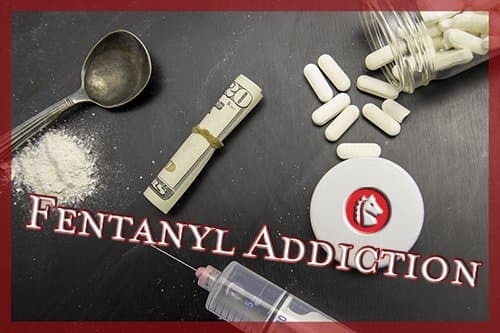 Those who have been using fentanyl legally will often need to be weaned off the medication in order to avoid severe withdrawal symptoms and intense cravings. Addiction to the drug can be treated with other, less potent opioids combined with therapy and social support programs. Abuse of a prescription drug is defined as any use beyond that approved by the doctor. Taking more than prescribed, taking it more often than instructed, or taking it without a prescription are all methods of prescription drug abuse. Seeking out multiple doctors and/or lying to doctors to get prescriptions for fentanyl are also considered to be abuse, even if the individual continues taking the medication normally. Prescription drug abuse has become a widespread problem in the US, partially due to the myth that these drugs are safe simply because they’re prescribed by a doctor. According to the National Institute on Drug Abuse, 1 in 5 Americans has used a prescription drug for a nonmedical purpose at least once. The problem tends to be most severe amount young people, with 1 in 12 high school seniors reporting recreational use of the opioid Vicodin in the year 2010 alone. Fentanyl is often sought out by recreational users of less potent opioids like Vicodin or heroin who have already built up a tolerance to their drug of choice and are seeking a new way to experience the euphoric high associated with this class of intoxicants. Mixed with heroin or cocaine, an extremely intense euphoria can be produced, similar to what individuals report experiencing the first time they try heroin. Small amounts of fentanyl can also be mixed with low-quality heroin and sold for a lower price than high-quality heroin. This means that many individuals addicted to opioids end up abusing fentanyl without knowing it and can easily overdose as a result. Authorities in Canada have been on alert for illicit fentanyl abuse since early 2015 when overdose cases began popping up all over the country. Victims included homeless heroin users as well as teenagers and young professionals. Young people looking for a thrill may be at a high risk for fentanyl addiction and overdose as they seek out excitement without the experience and opioid tolerance necessary to handle such a potent drug. Others may start using fentanyl legally, but upon being taken off the drug by their doctors, find that their pain isn’t manageable without it or simply find themselves craving it even after being weaned off the drug and getting through any withdrawal symptoms. Without addiction treatment, they may defraud medical professionals or turn to illegal sources to get a fix. Anyone using fentanyl for medical purposes should keep a sharp eye out for signs of addiction. All opioids are addictive, and particularly potent ones tend to be more so. Though not everyone who uses or abuses fentanyl will become addicted, addiction to this drug is especially dangerous due to the high potential for overdose. Addiction to prescription medication is also becoming more common, with 1.9 million people Americans having a substance user disorder due to prescription painkillers in 2014. Anyone using fentanyl for an extended period of time is very likely to develop a tolerance to the drug, meaning they need higher doses in order to achieve the same effect, whether the person is aiming for euphoric highs or pain relief. This is the first step to what’s often called physical addiction, in which the body and brain adjust to the substance and come to rely on it to function normally. This kind of addiction causes very unpleasant withdrawal symptoms to appear when the person stops taking the drug. The other aspect of addiction is psychological. Cravings and a general feeling that the drug is necessary to make it through the day are considered signs of psychological addiction. 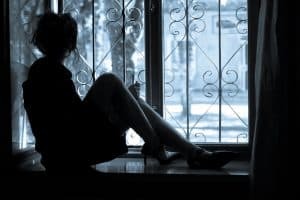 This is often the most difficult aspect of addiction to recover from, as cravings can be triggered at any time, often for the rest of an addicted individual’s life. New preparations of fentanyl, as well as an apparent increase in illegal production of the drug, have led to serious recent concern about overdose. In 2006, a large shipment of 83 percent pure fentanyl powder was seized by US border guards as it came into the country from Mexico. In the same year, an illicit drug lab producing the drug was discovered in California, and there was a high number of overdose deaths when illegally manufactured fentanyl mixed with heroin or cocaine hit the streets. The increase in availability of this drug may partially account for the 80 percent rise in accidental overdose deaths involving synthetic opioids, as reported by the Centers for Disease Control and Prevention (CDC). Opioid overdose is very dangerous due to the way these drugs affect the central nervous system, which controls the heart and respiratory system. As a depressant, opioids slow these essential functions down. If a person isn’t breathing enough and/or the heart isn’t able to pump enough blood to get a sufficient amount of oxygen to the brain, a condition called hypoxia can occur. This is simply a lack of oxygen to essential tissues, causing rapid cell death. Victims of hypoxia have sustained serious brain damage to the point that their general functioning is severely impaired, and it can easily lead to death. Fentanyl is an especially powerful sedative, so it’s likely for an individual who takes a high dose of the drug to fall asleep. While asleep, others may leave the individual alone and not notice that breathing has slowed or stopped. This is even more likely if fentanyl is mixed with heroin or other opioids. On the other hand, mixing an opioid with a stimulant like cocaine can mask signs of overdose. There have also been cases of young children overdosing on fentanyl after accidentally being exposed to the drug via the transdermal patch. A warning about this was issued in 2014 by the Medicines and Healthcare Products Regulatory Agency (MHRA) that included instructions for safe disposal of used patches. Any time a fentanyl overdose is suspected, it should be considered a medical emergency. Emergency medical services should be called immediately.